Home Blog Will high stress kill you, save your life, or neither? Will high stress kill you, save your life, or neither? Many people assume stress is obviously bad, and lots of people tell us they want to find a “low stress job”. But a new book (and TED talk with over 10 million views) by psychologist Kelly McGonigal claims that stress is only bad if you think it is, and that stress can make us stronger, smarter and happier. So are most people wrong, or is stress only bad if you have the wrong attitude towards it? We did a survey of the literature, and found that as is often the case, the truth lies in between. Stress can be good in some circumstances, but some of McGonigal’s claims also seem overblown. The consensus among researchers seems to be that stress is good when it’s moderate in intensity (not too low or too high) and when it’s short-term, rather than on-going. Intense and on-going stress is strongly linked to poor health, including a weakened immune system, heart disease, depression and anxiety disorders, and higher chance of death. Some studies have found a correlation between negative health outcomes and believing that stress is bad for your health, but it is hard to draw causal conclusions from these findings. However, there is experimental evidence that reframing stress as an opportunity rather than as a threat leads to better performance and better cardiovascular health at least in the short term. 2 How is stress usually defined by scientists? 3 What is work related stress? 4 What’s the evidence stress is bad? Why do people think it is? 5 What are some puzzles in the literature that suggest this simple picture is wrong? 6 What’s the evidence that some types of ‘stress’ are good? 7 Under what circumstances is ‘stress’, that is, high demands, good or bad? 8 How can stress best be managed? We surveyed the literature to find out how stress is usually defined, the causes of work stress, the evidence for its positive and negative effects and what the most effective stress management interventions are. See the sources at the end of this post. How is stress usually defined by scientists? 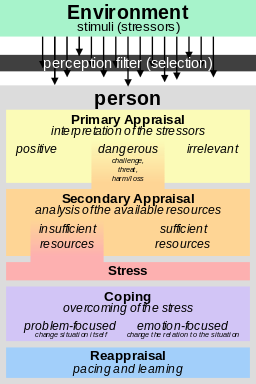 Transactional Model of Stress and Coping of Richard Lazarus. Image credit Philipp Guttmann. What’s the evidence stress is bad? Why do people think it is? It also cites evidence (Table 3.1) that some stressors lead to worse job performance, and that long-term exposure to stress leads to emotional exhaustion and burnout. What are some puzzles in the literature that suggest this simple picture is wrong? It seems the negative effects of higher job demands in higher ranks were offset by the higher sense of control, but overall, higher job demands were still associated with higher risk of heart disease. Also, the authors argue that leadership positions are actually associated with lower levels of stress: “… we found clear evidence that leadership is associated with lower levels of stress”. Therefore this study isn’t a finding that stress is linked to positive health outcomes, instead it’s pointing out that leadership positions are associated with lower stress than other positions. In sum, these studies suggest that the increased control and power that comes with higher responsibility positions offsets the negative effects of higher job demands. Another interesting finding is that there is an association between the negative health effects of stress and believing that stress has negative health effects. Some studies have found a correlation between negative health outcomes and believing that stress is bad for your health, but it is hard to draw causal conclusions from these findings. However, there is experimental evidence that reframing stress as an opportunity rather than as a threat leads to better performance and better cardiovascular health at least in the short term. This fits well with the large amount of evidence for the effectiveness of cognitive-behavioral therapy, whose slogan is that changing your beliefs about a situation changes the emotions you feel. What’s the evidence that some types of ‘stress’ are good? The consensus among researchers seems to be that stress is good when it’s moderate in intensity (not too low or too high) and when it’s acute, rather than chronic. Moderate and short-term stress at work is linked with better performance and higher job satisfaction. Under what circumstances is ‘stress’, that is, high demands, good or bad? See the summary table at the top of this post. How can stress best be managed? A great book which outlines a self-help CBT program for stress and anxiety management is Overcoming Anxiety. Or you can get CBT online through Lantern. You can also take the Epstein Stress Management Inventory for Individuals for free, which will tell you how well you manage stress in each of four skill areas. This can help you target which skills to improve. Booth, Joanne, et al. “Evidence of perceived psychosocial stress as a risk factor for stroke in adults: a meta-analysis.” BMC neurology 15.1 (2015): 1. Epstein, Robert. “The Upside of Stress: Why Stress Is Good for You, and How to Get Good at It.” Scientific American Mind 26.4 (2015): 70-70. Falk, Anders, et al. “Job strain and mortality in elderly men: social network, support, and influence as buffers.” American journal of Public health 82.8 (1992): 1136-1139. Fishta, Alba, and Eva-Maria Backé. “Psychosocial stress at work and cardiovascular diseases: an overview of systematic reviews.” International archives of occupational and environmental health 88.8 (2015): 997-1014. Johnson, Jeffrey V., and Ellen M. Hall. “Job strain, work place social support, and cardiovascular disease: a cross-sectional study of a random sample of the Swedish working population.” American journal of public health 78.10 (1988): 1336-1342. Kavanagh, Jennifer. 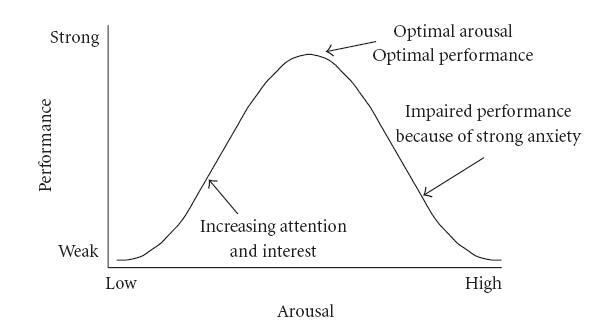 Stress and Performance A Review of the Literature and its Applicability to the Military. RAND CORP SANTA MONICA CA, 2005. Keller, Abiola, et al. “Does the perception that stress affects health matter? The association with health and mortality.” Health psychology 31.5 (2012): 677. Kuper, Hannah, and Michael Marmot. “Job strain, job demands, decision latitude, and risk of coronary heart disease within the Whitehall II study.”Journal of epidemiology and community health 57.2 (2003): 147-153. McGonigal, Kelly. The upside of stress: Why stress is good for you, and how to get good at it. Penguin, 2015. Poulin, Michael J., and E. Alison Holman. “Helping hands, healthy body? Oxytocin receptor gene and prosocial behavior interact to buffer the association between stress and physical health.” Hormones and behavior 63.3 (2013): 510-517. Poulin, Michael J., et al. “Giving to others and the association between stress and mortality.” American journal of public health 103.9 (2013): 1649-1655. Richardson, Katherine M., and Hannah R. Rothstein. “Effects of occupational stress management intervention programs: a meta-analysis.” Journal of occupational health psychology 13.1 (2008): 69. Sainani, Kristin. Why you should stop sweating everyday aggravations and embrace the benefits of stress. Stanford Magazine. Schneiderman, Neil, Gail Ironson, and Scott D. Siegel. “Stress and health: psychological, behavioral, and biological determinants.” Annual review of clinical psychology 1 (2005): 607. Sherman, Gary D., et al. “Leadership is associated with lower levels of stress.” Proceedings of the National Academy of Sciences 109.44 (2012): 17903-17907. Johnson, Jeffrey V., and Ellen M. Hall. "Job strain, work place social support, and cardiovascular disease: a cross-sectional study of a random sample of the Swedish working population." American journal of public health 78.10 (1988): 1336-1342. Johnson, Jeffrey V., Ellen M. Hall, and Töres Theorell. "Combined effects of job strain and social isolation on cardiovascular disease morbidity and mortality in a random sample of the Swedish male working population." 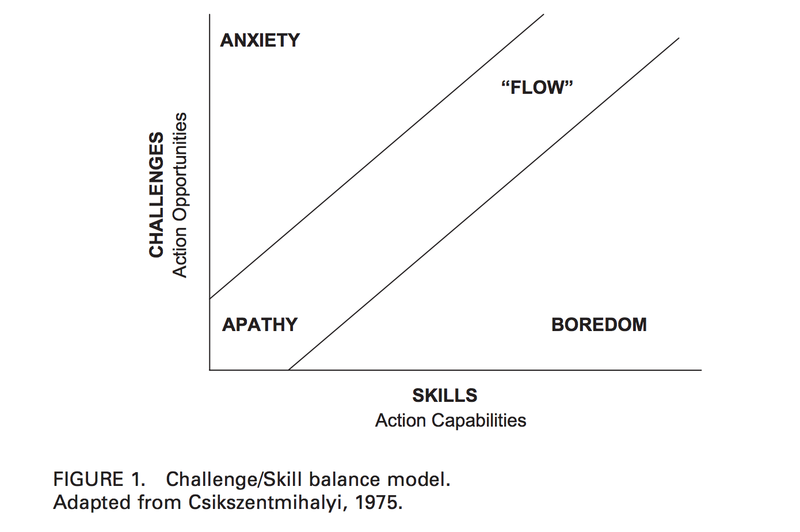 Scandinavian journal of work, environment & health (1989): 271-279. Falk, Anders, et al. "Job strain and mortality in elderly men: social network, support, and influence as buffers." American journal of Public health 82.8 (1992): 1136-1139. “Helping others predicted reduced mortality specifically by buffering the association between stress and mortality.” Poulin, Michael J., et al. "Giving to others and the association between stress and mortality." American journal of public health 103.9 (2013): 1649-1655. Do you have to work very intensively? Do you have enough time to do everything?